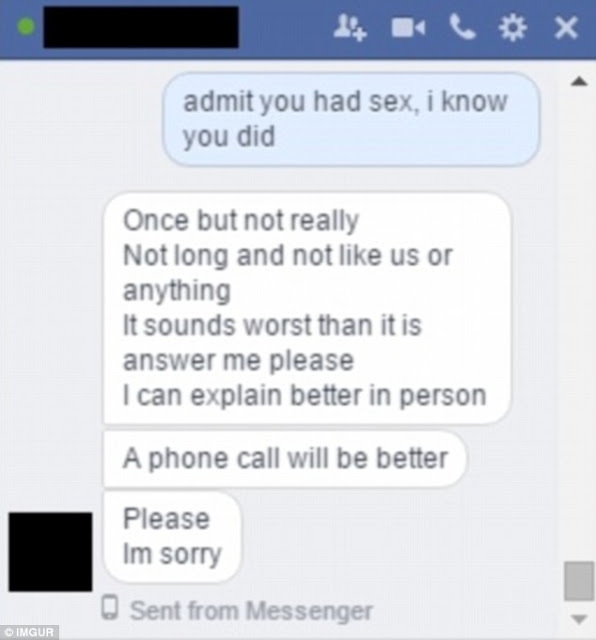 SHOCKING: This Man Caught His Girlfriend Cheating On Him With His Own Father! Stories of cheating pique the interest of many netizens as they often show how people try to cover up their betrayal. These stories also spark people's curiosity as cheating comes in different forms and ways. One example of this would be the story of how this anonymous 4chan user caught his own girlfriend cheating on him. The most shocking thing about his story, however, is the fact that his girlfriend cheated on him with his own father. The netizen busted them through a series of text messages he read in his father's phone. The 4chan user blogged about his bitter discovery and seek advice from other online users. 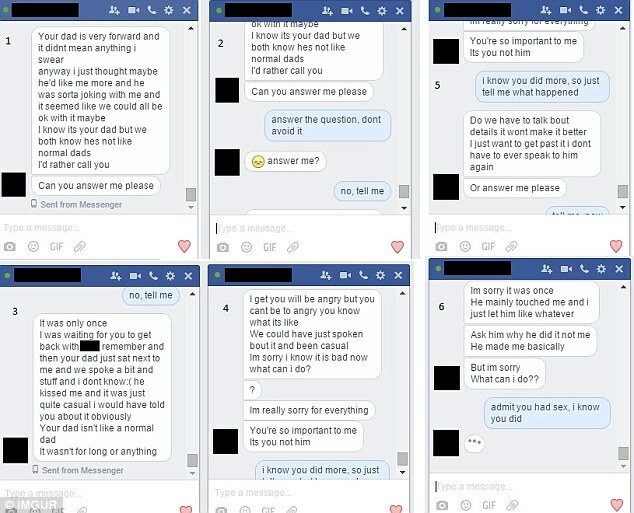 He posted his girlfriend's exchange of text messages with his father. In the conversation, both were throwing shade at the angle that something intimate happened between them. The girl even sent a naked photo of her. In his 4chan post, the user explained that his father left his phone at home as he headed to his work. Upon checking the gadget, the boy found the steamy conversation. He captioned his 4chan post with: "Just found out my girlfriend has been having s*x with my Dad. He left his phone at the house while he's at work. 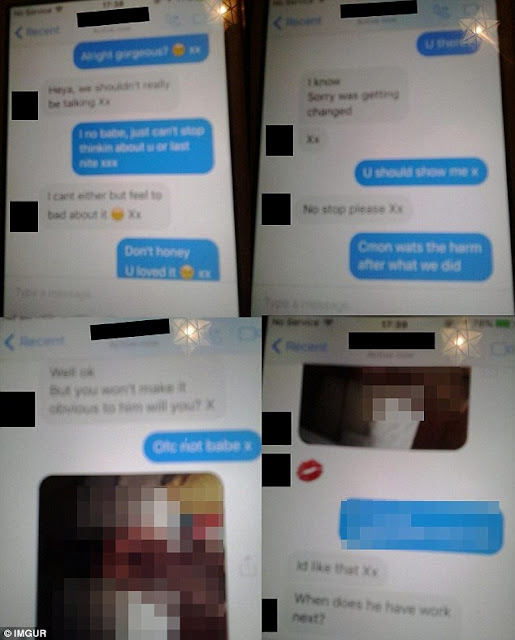 All messages discussing how she's his "dirty little secret". Nudes and everything, what do I do? I'm broken,' the user wrote. The user then promised 4chan netizens that he would share with them his conversation with his girlfriend once he confronts her. 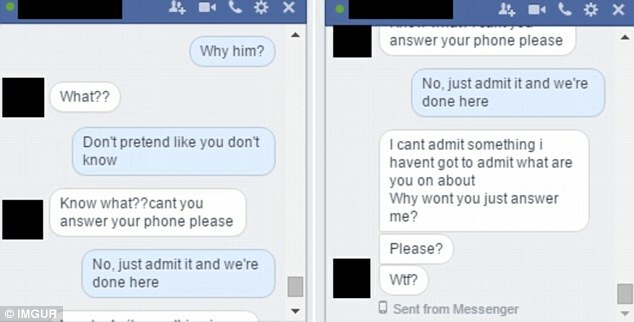 After 45 minutes of sharing his first post, the user then followed it up immediately with screenshots of his conversation with her girlfriend. He pretended that he knew everything as he waited for his girlfriend to admit whatever happened between her and his dad. The girl initially denied the accusation. However, the user then claimed that all he needs is for her to admit their betrayal and things would be done. The girl then confessed as she was already caught red-handed. The conversation between them went on until the girl was forced to admit every detail of their infidelity. She tried to explain that she was 'forced' and 'it only happened once'. The girl also insisted that her intimate acts with his boyfriend's father is not like what they do together. 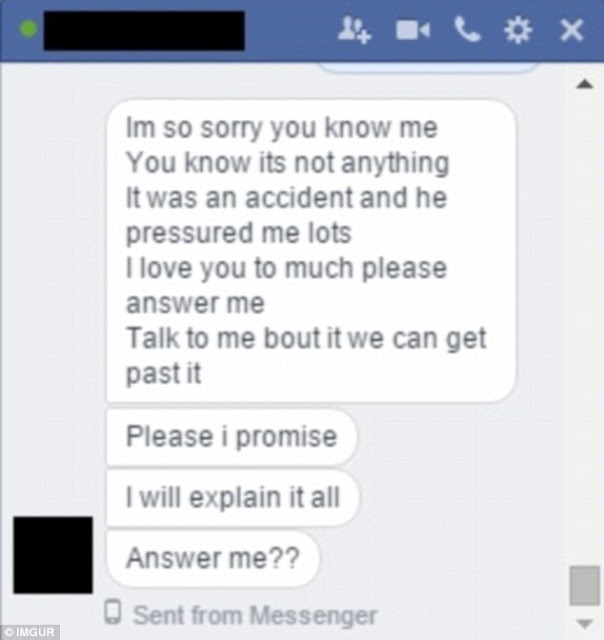 Meanwhile, the user claimed that he made his mother aware of the situation. There is also no clarification of what happened next and how the conversation ended. There is also no way to clarify the authenticity of this story. What would you do if you caught your partners cheating? Let us know your opinion!